This book is the new 2010 updated and revised edition of this timeless cookbook. All recipes have been checked for accuracy and all artwork has been updated. The book looks fabulous with its bright new cover. It is ready to be sold nationwide. 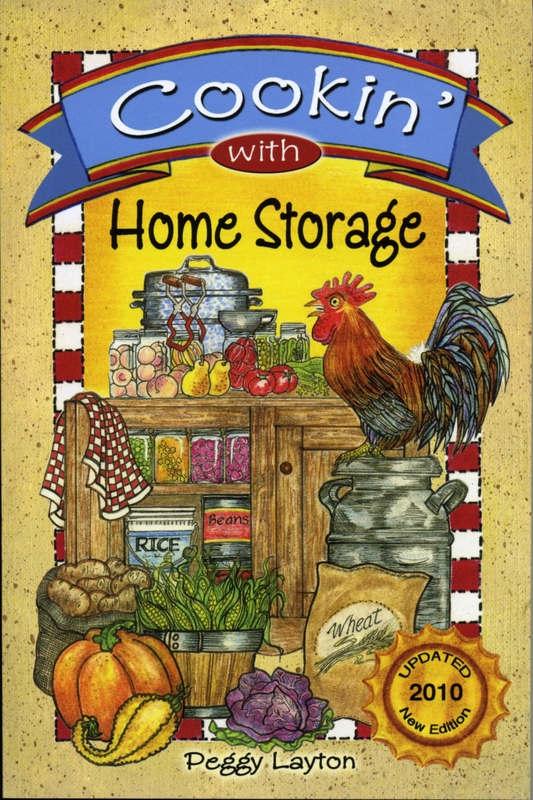 Cookin' With Home Storage is the best selling book we have. It is a fascinating cookbook with over 550 recipes by Peggy Layton. Charts on what to store and how much to store. Charts on how to reconstitute dehydrated and freeze dried food. Authentic pioneer recipes using the basic foods available in the 1800's. Pet food and baby food and much, much, more. You get discounts for purchasing in larger quantities. This book makes a great Wedding, Birthday, or Christmas Gift.